Here I will discuss film, literature, art, and other nooks of culture where dolls appear to us. My interest and subsequent obsession with dolls is due no doubt to my maternal and paternal grandmother’s collection of dolls. My paternal grandmother also going a step further and making many of the dolls that pepper my childhood and my memories still today. 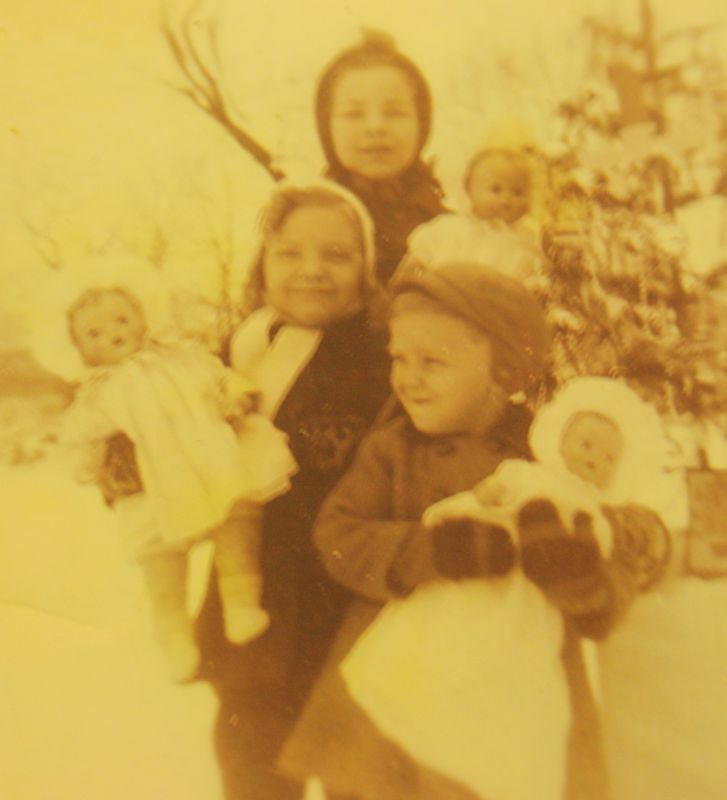 Even before I was a twinkle in my father’s eye, dolls were a part of my family as the above photograph illustrates.